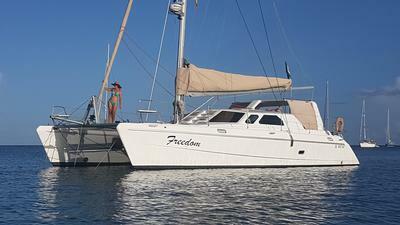 'Freedom' is a fast and excellent sailing vessel, a well-equipped blue-water cruising catamaran, built to the highest of standards and in outstanding condition. 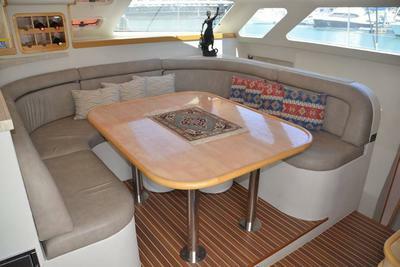 The Knysna 440 achieves a slinky low profile through deft treatment of the hull-to-deck-connection and a very comfortable deck saloon. 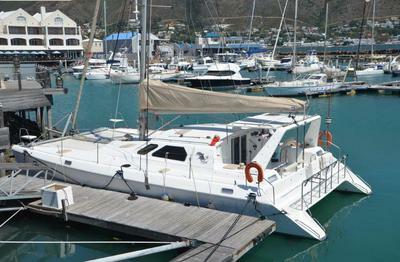 An arch on the stern carries the mainsheet out of people range and also draws the eye aft, emphasizing the effect of the long bow and the steeply raked mast. 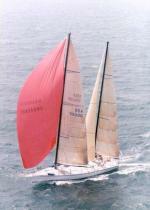 The standard sailing rig of big main and furling genoa is supplemented with an optional screecher on a bowsprit and also a spinnaker. 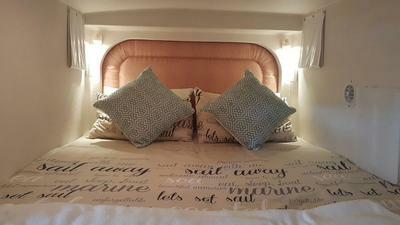 Below, the decor is influenced by the colors and style associated with beachfront living.